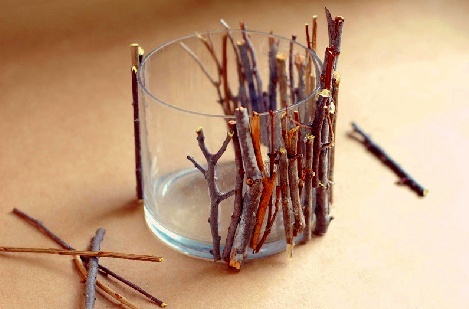 Monday's Inspiration: DIY Candle Holders. Step 1. Wash the candle holder with dish soap and dry well. 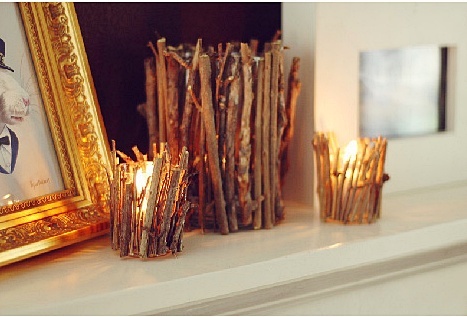 Cut the branches down to sticks close to the height of the candle holder, it is best to cut a few at a time. Step 2. Dab the glue on a stick making sure to hit the areas that will be flush to the glass. Place on the glass. You can do a few at a time and then hold until they won’t slide off before you rotate the holder. Step 3. Repeat until all of the glass has been covered. As always, if using a candle holder do not leave these unattended! Isn’t the end result just magnificent? We can just see a whole collection of these illuminating a cozy summer room! Love those! 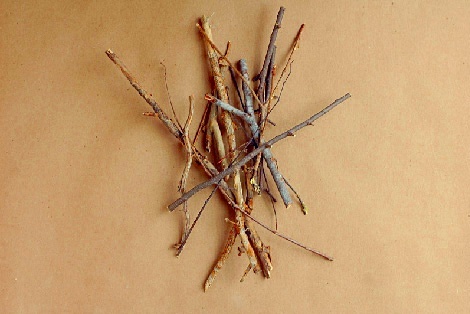 I did this with cinnamon sticks last year! Cinnamon sounds lovely Ashley. Cheers Lisa. They smell delicious! Perfect for the holidays! Oh wow, that looks so effective! What a great idea! Will definitely give it a try this fall! Thanks for the inspiration! Wow, I love this! I will definitely be giving this a try. I bet it will make a great reflection in my mirrored furniture. Wait! Even I could do this - and I am NOT crafty - how cool this is. I'm going to work on a winter one. 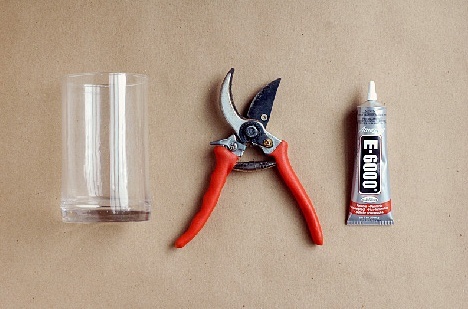 Thank you for sharing something a crafty-less person can accomplish!